This debate has been raging for sometime on lots of blogs and social media sites and I thought I would like to share my opinion on this. I am fairly new to the term, in fact I hadn’t heard of it till this time last year, but thought it was a great way to sum up exactly what we are. Mum’s who juggle a business alongside all the other aspects of having a family and home. I like the fact that it gives us the chance to support each other as we are all in the same boat. I would also say that I am a Business Mum and a Business woman but Mumpreneur is a term that conjour’s up in my mind a group of business mums all working for the same goal, starting and running a business which will fit in with their hectic lives. I must admit that I actively follow other mumpreneurs and I am looking at supporting lots by buying christmas presents from their sites because I think that is at the heart of being a mumpreneur. 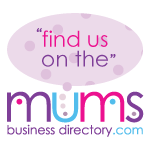 Although I haven’t as yet stated on my site, but the reason I set up Kizzy Bass Business Services and why I am looking at starting a local networking group is to help, encourage and promote other mumpreneurs. So whether you like the term or not Mumpreneur now features in the Collins English Dictionary and really does fit the bill for a lot of mums who start and run businesses. At the end of the day, it is ultimately up to you what you call yourself and there is no right or wrong answer to this debate, I just think Mumpreneur is a great term to describe a sector of mums who have taken control of their’s and their families lives and are striving to achieve their individual goals. This entry was posted on Monday, November 7th, 2011 at 9:00 am and is filed under About Me, Behind The Business. You can follow any responses to this entry through the RSS 2.0 feed. You can leave a response, or trackback from your own site. 7 Responses to Mumpreneur or Business Mum? 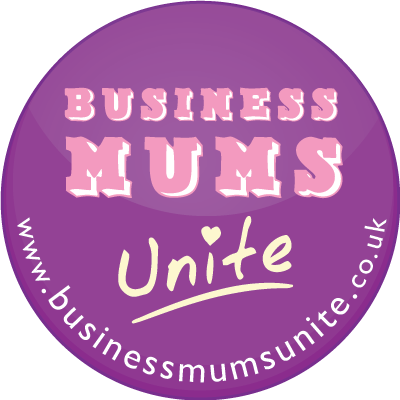 What does it mean if I’m a mum, who has set up one unique business, bought another unique business (which has enabled the mum who thought up the idea to get on with her next idea) and runs third business that’s an agency? Am I still a “preneur” of any kind? And if I am working at it full time with my husband aka Lovely Bloke as a stay at home dad, I wonder what that means? Does that mean I’m not a mumpreneur because my husband does the vast majority of childcare and running the household? I can’t work out how I feel about the whole labelling of women who work and have families as well. Appreciate this is a bit of a ramble, but it’s something I think about quite a bit. I always feel a bit of a fake if I think of myself of a mumpreneur. I haven’t dreamt up anything new I’m just a plain mum who works very hard at her business. I’ve gone from loving it to hating it and I think every point on the scale in between! I love the idea of being able to create work on your own terms without having to work full-time, give up work totally or accept part-time work with crap pay (unless you choose to). But like Liz says, I think the biggest problem with the word is that it belittles what we do in so many people’s eyes. The longer I’m in this world, the more I feel that it’s just being self-employed/a business owner but with an extra set of constraints. Not much different to any other self-employed person, really. I don’t think for a second we should hide the fact we’re mums of small kids, but I’m not sure that shouting about it helps our image either (unless we’re running child-related businesses, which of course many of us are). Hmmm it’s not a term I have used or would use to describe me. I’m a woman who runs her own business and also happens to be a mother, wife, daughter and has a whole other load of titles that I’ll not bore you with. ‘Mumpreneur’ as a title may be here to stay or it may be a passing ‘fad’. Personally I’ll stick with business woman when I’m working and just ‘me’ when I’m not.